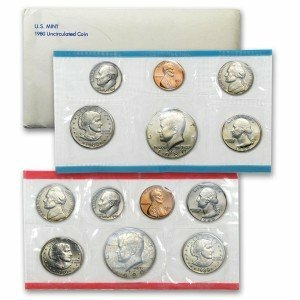 The 1980-S United States Mint Proof Set contains all 6 circulating coins in stunning proof condition displayed in one protective lense. 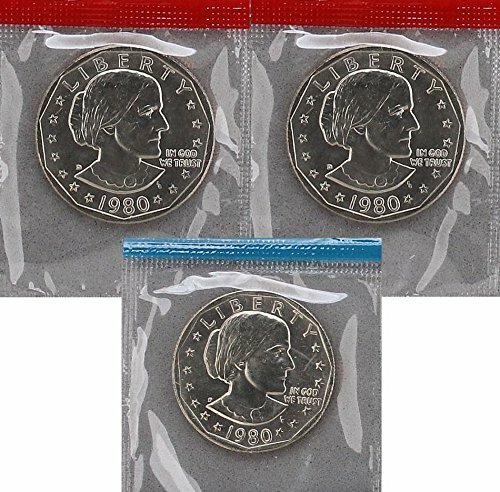 Each of these 1980-dated coins bears the "S" mint mark of the United States Mint at San Francisco.The coins included in this set are:* (1) Susan B. Anthony dollar* (1) Kennedy half-dollar* (1) Washington quarter* (1) Roosevelt dime* (1) Jefferson nickel* (1) Lincoln centThis "vintage" Proof Set has been previously owned. It is in "like new" condition and comes in its full original US Mint packaging. The "Stock Images" used in this description are an indicator of the quality of the item you will receive. The actual item you will receive is guaranteed to be as described and depicted. Coins were taken directly from US Proof Sets. 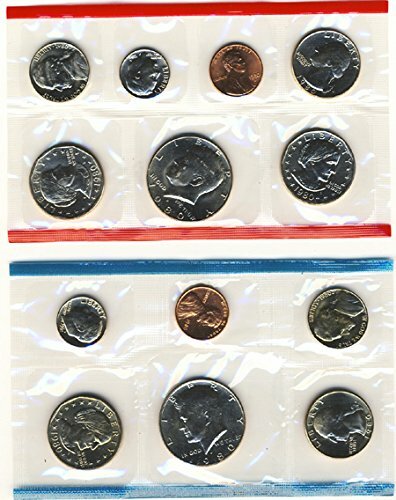 The 1980 United States Mint Uncirculated Coins set includes two protective envelopes with a total of 13 coins. The Philadelphia and Denver Mint strikes includes: * (1) Susan B. Anthony dollar * (1) Kennedy half-dollar * (1) Washington quarter * (1) Roosevelt dime * (1) Jefferson nickel * (1) Lincoln cent Also included in this set is: * (1) Susan B. Anthony dollar struck at the United States Mint in San Francisco. All mint sets are pre owned. They will have slight blemishes. We make sure they are close to photos. 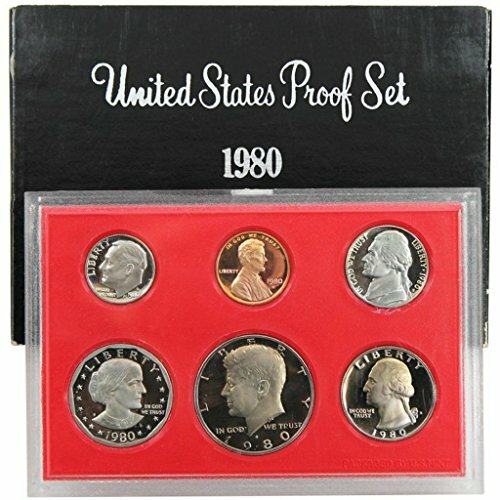 1980-1989 Proof Set Run in Original Government Packaging. 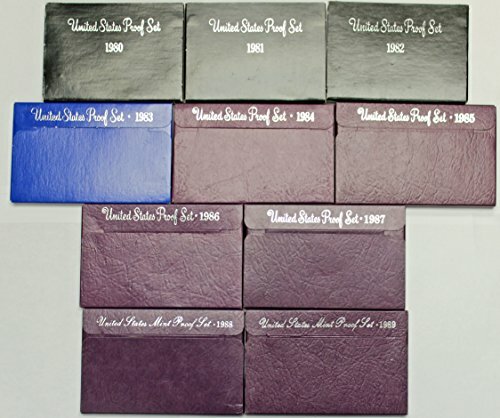 Nine Proof Sets of 52 Coins. 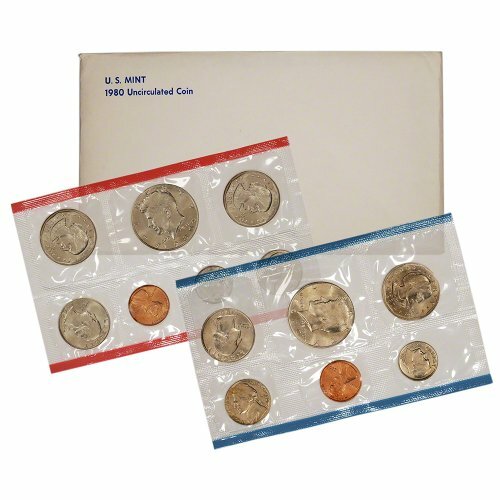 The 1980 United States Mint Uncirculated Coins set includes two protective envelopes with a total of 13 coins. The Philadelphia and Denver Mint strikes includes:* (1) Susan B. Anthony dollar* (1) Kennedy half-dollar* (1) Washington quarter* (1) Roosevelt dime* (1) Jefferson nickel* (1) Lincoln centAlso included in this set is:* (1) Susan B. Anthony dollar struck at the United States Mint in San Francisco.This "vintage" set has been previously owned. It has been hand-inspected to ensure that it is complete, including its original US Mint packaging. Vintage coin sets and packaging may show some minimal wear and the effects of aging.The "Stock Images" used in this description are an indicator of the quality of the item you will receive. The actual item you will receive is guaranteed to be as described and depicted.